Local anglers Wayne Gibbs and Jim Culpepper will soon be the proud fathers of 200,000 coho salmon fingerlings. As part of the Koll North Creek Project, they are raising salmon from eggs in an attempt to boost runs of Oncorhynchus kisutch in North Creek. Right now, trays of berry-red coho eggs slumber in an incubator the two men have built alongside North Creek. As members of Puget Sound Anglers, Culpepper and Gibbs felt compelled to ensure strong fish runs for the future. "We both like to fish and we've caught a lot," Culpepper boasts, then adds seriously, "We figure we owe them something." The incubators, placed just above stream level, are rubberized plastic screens set in 30" deep fiberglass tubs. A series of pipes brings water from a water pump (installed by Koll) upstream through a pond and into the incubators, keeping the water clear, cold, and silt free. Bolted on top of the tubs are plywood sheets to protect the salmon from the elements, ducks, and other shore life. Sandbags and plywood provide a diversion from North Creek in case of flood. McLendon Hardware, Watson Asphalt, and Home Depot contributed pipe, plywood, gravel, and brass valves for the project. Culpepper figures most of the eggs will hatch in the next six weeks. The fingerlings then will be kep in the tubs for two months. "This is as close to wild fish as it gets," says volunteer John Yeaman, of the modified hatchery. "The fish will get their food from the creek," whereas at hatcheries, fry are fed fish meal, he said. The fry will be released into North Creek and Lake Washington where they will spend a year before heading to the ocean. The salmon will be subject to intense predation throughout their lives. "If we get 1 or 2% of the salmon back, it would be a neat thing for this stream," said Culpepper. Obituary* 9 Sep 2007� James Marvin CULPEPPER James (Jim / "Pepper") M. Culpepper went home to join his wife of 62 years, Beverly & his Lord, Jesus Christ on September 4, 2007. He was born on October 22, 1919 in Palmyra, Arkansas & resided most of his adult life in Bothell and Woodinville. Jim graduated from Glendale High School in Arkansas & was an All League athlete in basketball, track & baseball and in 1938 began a sixty year career as a journeyman electrician. Just a few months ago he received his sixty year pin as a member of the International Brotherhood of Electrical Workers (IBEW). In 1942 he left Arkansas to join the Navy to serve his country in WWII. After WWII, for a second career, he joined the Naval Air reserve and flew as a navigator / communications officer for the next 34 years. 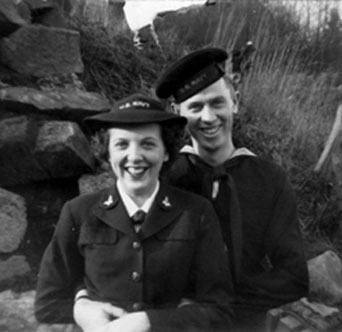 He met his future wife, Beverly (Hartwig) Culpepper in the Navy while both were involved in teaching weapons training. They married in Seattle in 1944. After leaving the Navy Jim worked for five years as an electrician in Seattle before he began a 25 year civil service career based at Ft. Lawton in Seattle. He was the manager of maintenance & construction for the US Army bases and sites in the Puget Sound area and he enjoyed being a Navy man commanding the Army personnel. He single-handedly managed the deactivation of the military base when it became Discovery Park. Jim always portrayed optimism and a positive attitude toward life and other people. He was always helping someone and was never too shy to talk to a stranger. At 16 years of age Jim and three friends went to salvage yards and bought parts and pieces to build a 1932 Ford car that actually ran. He and his wife, Beverly built two residences in Bothell and did 80% of the work themselves. Jim was also the neighborhood "Handyman", always fixing the neighbors plumbing, electrical and HVAC systems. Jim's summer vegetable gardens at his Woodinville and Bothell homes fed his family, the neighborhood families and many others who might drive by the area. Jim positively affected many young boys' lives being the Scoutmaster of Troop 427 in the Bothell area and helped his son's youth baseball teams by being an assistant coach, scorekeeper & statistician. He & his wife, Beverly were members of the Bothell United Methodist Church for over 55 years and Jim individually contributed hundreds of hours of labor constructing the new church and additions at its present location. James Culpepper was the epitome of hard work and responsibility. Jim had a passion for life, especially the love for his family and the love of fishing. Most of his summer vacations were spent with his family fishing at Sekiu, Westport, Cowlitz River (steelhead) and Spectacle Lake in Eastern Washington. If there was a "Hall of Fame" for Amateur Fishermen, Jim would most likely be President & MVP. Jim was actively involved in the private incubation and rearing of salmon in many of the Eastside creeks, his way of giving back to the fishery that he loved so much. 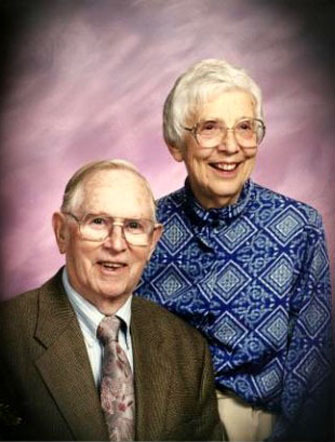 Beverly, his wife of 62 years, preceded him in death this past December and James is survived by his son, Gary and daughter-in-law, Alea of Woodinville, WA; his daughter, Barbara of Beaverton, OR; five Grandsons: Caser, Shaker, Reis, Jeff & Jeremy; seven Granddaughters: Jill, Suzanne, Jacque, Jessica, Tiffany, Michelle and Rachel; & four super great grandchildren: Ellen, Tyler, James, and Kyle. Correspondence from James Marvin Culpepper to Lew Griffin, Jan 1999. NW Source (Seattle Times), Seattle, Washington. Obituary of James Marvin Culpepper, published 9 Sep 2007. Rebecca Culpepper, Dau, F, 8, AR/AR/AR. E-mail written 2007-2008 to Culpepper Connections from Barbara Jo Culpepper (#6966), e-mail address (Sep 2008). -Earned three varsity letters in wrestling and one varsity letter in football. -Hit .300 during professional Career. Obituary of Annice Lee Sides Culpepper (5273), published Wednesday, 13 Apr 1983, p. C-5. George W. Culpepper, d. 4 Dec 1980 at 70 years in Bibb Co., GA; Res. in Bibb Co., GA.
Father* George William Culpepper Jr.
Obituary* say 12 Aug 2018� B.J. was born in Macon, Georgia December 27, 1971 to George William (Billy) Culpepper Jr. and Bonnie Marie (Modena) Culpepper and briefly lived there and Atlanta before his family moved to Rome. He attended Johnson Elementary School and graduated from Model High School in 1990. He was a gifted athlete, playing football and baseball from an early age and throughout his high school career. He played on Model’s varsity football team for four years as a running back and defensive back. B.J. loved making touchdowns and loved playing football with his friends. B.J. attended college at Floyd College before starting his landscape business in Rome. B.J. saw the growing self storage market and started Rome Storage, known locally as Safe Storage, in 1996 soon after he and Mandi married, while also working for Martin’s Real Estate. His passion for real estate development kept him always looking for new locations, and he grew his business from building his first Safe Storage location on Dean Street, to three Safe Storage locations throughout Rome. B.J. was a big picture thinker who loved helping people, and he was always thinking of ways to make life more efficient for everyone. He tried to do that in business as well as in his life. He and his family attended First Presbyterian Church, where he developed relationships with friends and mentors. He enjoyed regular lunches with his spiritual mentors, with conversations that enriched and deepened his faith. B.J. was active in helping local charities and was passionate about giving back to the community. B.J. was a devoted husband and loving father; everything he did was for his wife and children who he loved more than anything in the world. He was blessed to be loved by a group of friends who were closer than brothers. B.J., Dusty Mulkey, Sam Echols, Shannon Marion, and Chris Cromer became friends in elementary and high school; they stayed close after high school and beyond, as each would settle down and get married. They began taking annual summer trips together in 2000 to honor their friend, Chris Cromer, who passed away in June of that year. B.J. is survived by his wife of over 21 years, Mandi Martin Cox; three children, Brandon Chase Cox, Isabella Parka Cox, and Christian Martin Cox; mother, Bonnie Modena Cox; father, Billy Culpepper; aunts, Beverly Culpepper, of Atlanta, and Mary Kathryn Modena, of Macon; mother-in-law, Margaret Martin; father-in-law, Larry Martin; sister-in-law, Missy Martin Mathis and her husband Jay Mathis, of Bradenton, Florida; Sister-in-Law, Vanessa Ray Martin, of Rome; brother-in-law, Mike Martin; many nieces and nephews, including Lauren Gilmore, Hanna Martin, Austin Martin, McKay Mathis, Cole Mathis, Ellis Mathis, Jake Mathis, Emmi Grace Mathis, Elliott Mathis; a great nephew, Eli Mathis (Cole and Sarah);and cousins, including Melanie Wilder, Michael Modena, Shannon Batts and Garrett Batts, B.J. was preceded in death by his Father, William Thomas (Tommy) Cox of Cartersville; his grandparents, George William Culpepper Sr, Vera LuNelle (Hobby) Culpepper and Pete and Bertha (Hattaway) Modena of Macon. Obituary* 1 Oct 2010� MACON - Services for Kathryn Culpepper will be 1P.M. Saturday, October 2, 2010 at Northridge Baptist Church. Rev. Chuck Beaver will officiate. Interment will be Private. Kathryn Culpepper, 54, of Macon, passed away Tuesday, September 28, 2010. Daughter of the late George William and Vera LuNelle Hobby Culpepper, she was a lifelong resident of Macon and a homemaker. Survivors: brother, Billy (Michelle) Culpepper, Temple; sister, Beverly Culpepper, Mableton; nephews, BJ (Mandy) Cox, Shannon (Heidi) Batts, Garrett Batts; several great-nieces and nephews, and cousins; dear friends, Charles and Jackie Peacock, Macon. Obituary of Mary Kathryn Culpepper (#6984), published 1 Oct 2010. Troy M. Culpepper, 11 Dec 1919 - 11 Aug 2003, Served 24 Oct 1941 to 13 Jan 1946 in the US Army, Interred 15 Aug 2003 in Natchez National Cemetery, Section F, Site 2188B. ED 160, sheet 25, line 21.